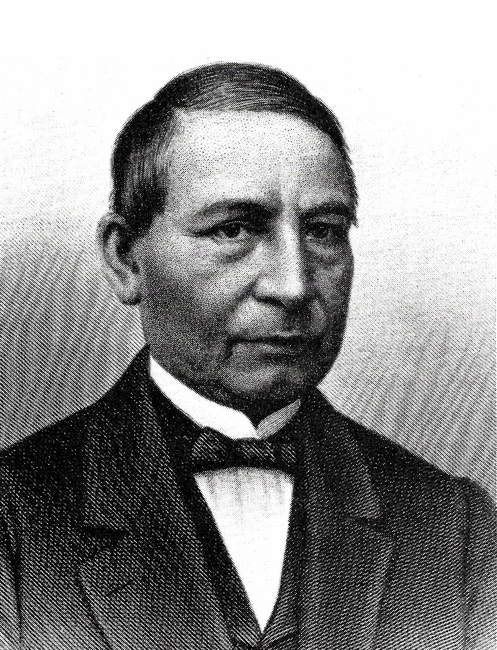 Benito Juarez was born in 1807 in San Pablo Guelatao, Oaxaca. Both his parents died by the time he was 3 years old. Soon afterward, his grandparents died and as a result he was raised by an uncle. Benito only spoke Zapotec until he enrolled in school at age 12 years old. Benito excelled in school, where he learned Spanish. In 1834, he became a lawyer, and practiced law for 7 years before becoming a judge. In 1947, Benito was elected governor of Oaxaca where he earned a reputation for honesty, and efficiency. Then in 1854, Benito helped draft a document called the Plan of Ayulta which called for an immediate end to the dictatorship of General Antonio Lopez de Santa Anna. Soon after, Benito would be forced to flee in exile to New Orleans, Louisiana where he would work in a cigar factory until the government of Santa Ana collapsed a year later. The new Mexican government named Juan Alvarez provisional president. Alvarez appointed Benito to serve as the next minister of justice. Juarez's first act was to pass an act that was called Ley Juarez. Ley Juarez abolished the special courts and privileges that the military and religious leaders were receiving. Up until this time these leaders were exempt from prosecution. Next Juarez, passed Ley Lerdo, which banned the church from holding land not used for religious purposes. His intention was for the excess land to be sold to the tenants of the property. Instead, the church sold almost all of the excess land to wealthy capitalists. Benito incorporated both of these laws into his New Mexican Constitution of 1857. The constitution was a major achievement for Juarez because it included freedom of speech, press, and assembly. The new constitution angered the Mexican conservatives who were led by Ignacio Comonfort. In December 1857, General Felix Zuloga backed Comonfort and took control of the capital. This was followed by the Three Year War, which was also called the War of Reform. The liberal army that was led by Benito was largely made up of the national guard and guerrilla bands. Benito's liberal army was inferior to the well disciplined conservative army. However, they were determined to retake control of Mexico. Finally, after three years of conflict, in January 1861, Juarez victoriously re-entered the capital of Mexico City. Victory, however, was short lived as the conservatives now were backed by the countries of England, France, and Spain. Mexico was essentially bankrupt and they couldn't pay their bills, so Juarez canceled debt payments to foreign countries. At once the counties demanded compensation from the Mexican government. Then, when Juarez refused they invaded Mexico in October of 1861. The Europeans were led by Napoleon III who wanted more than money. He wanted control of Mexico for economic and political advantage. Napoleon appointed Archduke Ferdinand Maximilian of Hapsburg King of Mexico. Eventually, Maximilian would be forced out of office by the United States Government. This occurred Secretary of State William Seward declared Mexico a U.S. Zone of Economic and Political Opportunity. Juarez would subsequently execute Maximilian in front of a firing squad before resuming the office of president in August 1867. In all, Juarez served five terms as President of Mexico. He died of a heart attack while in office in 1871.